Eneltec Group published articles about LED lighting business, LED applications, LED industry, LED Supplier, LED technical, any other LED things. 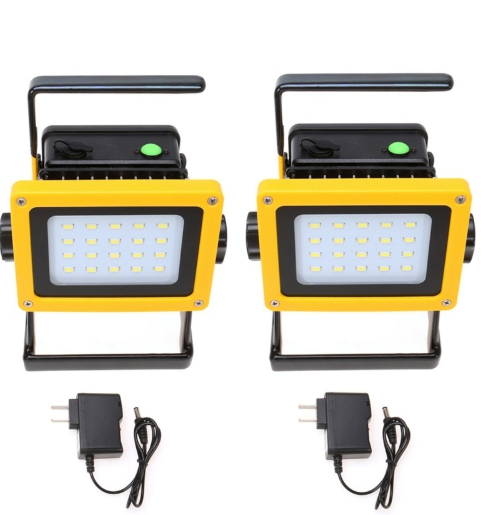 30W 20 LED Portable Work Spot Flood Light is made of high-quality material, durable and sturdy for you to use. Work with high capacity detachable 18650 battery, it can lit for 3-4 hours constantly when fully charged. It is energy-saving and eco-friendly for long-term use. Withstand bracket, it is easily assembled with the light together and better adjusting the beam angle. Suit for outdoor activities, camping, bonfire party, car repairing, mining, exploration, night fishing, fire fighting, basement, warehouse, ad boards lightning, or home emergency appliance, etc. Wanna purchase high quality LED Lights? Inquire Now!